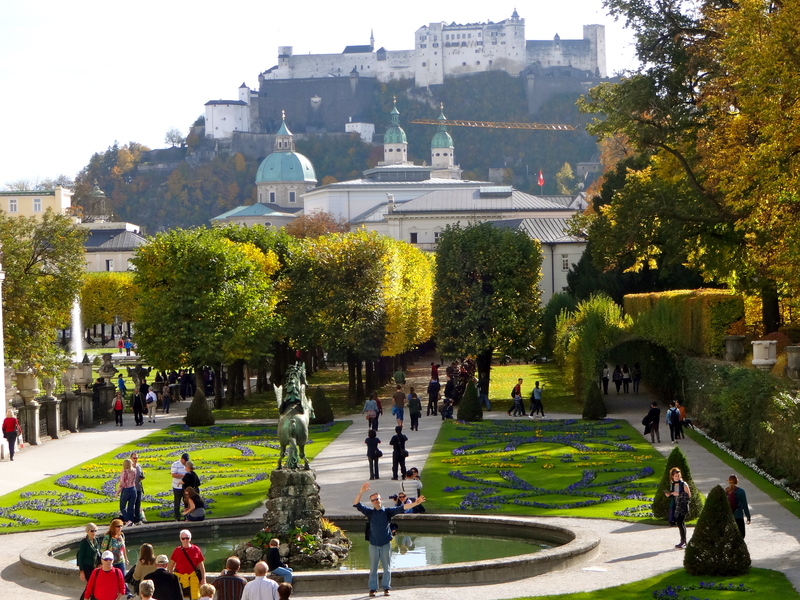 Salzburg: city of Mozart and the Sound of Music! Andy is standing in front of the Pegasus fountain, where the “Do Re Mi” song was filmed. Just to the right you can see the arched hedge where Maria and the children ran and sang. Lazy travelers that we are, we arrived in Salzburg for a day trip from Munich around noon. Our mantra when traveling is to have as few early mornings as possible! 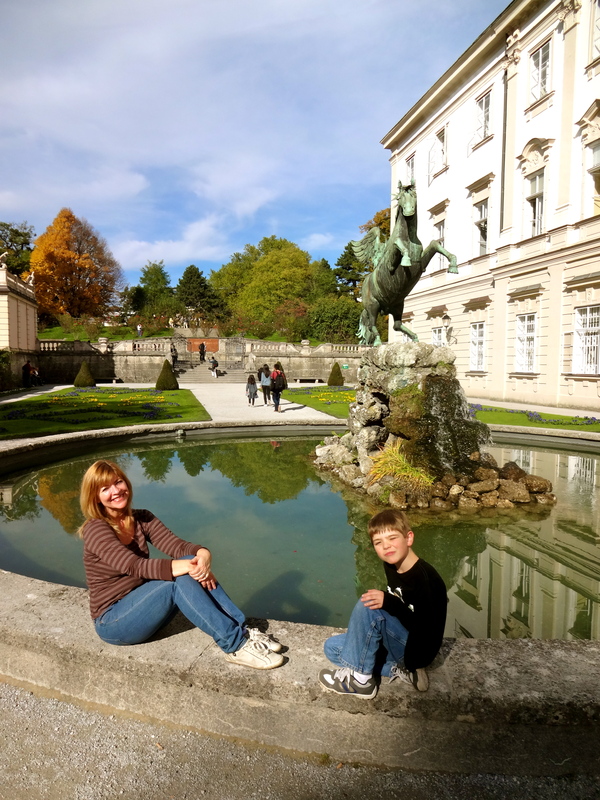 We found a great free iphone app called City Walk Salzburg Lite that helped us decide what we wanted to see in the short time we were there. 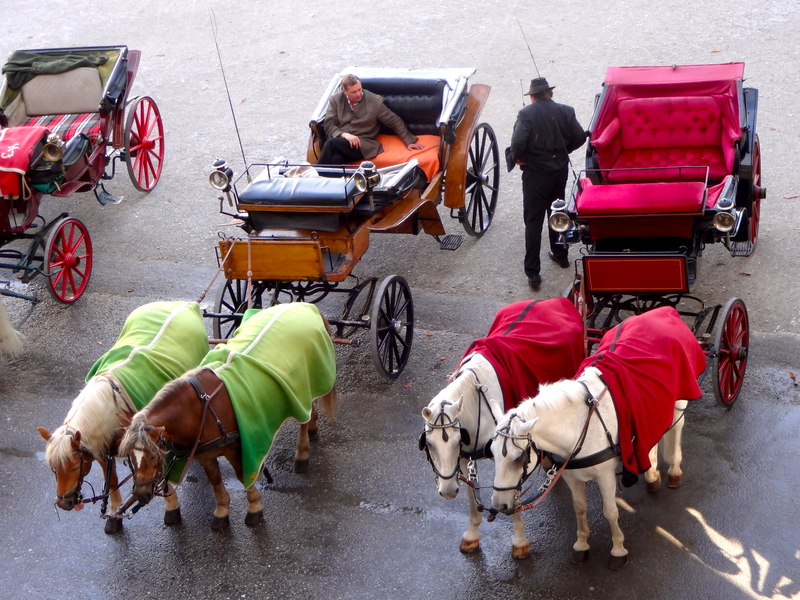 We also purchased a Salzburg Card for 23 Euros (11.50 for Nate), which allowed us to use all public transport and covered admissions to all the sights in this lovely city. The Mirabelle Palace was constructed and the gardens were laid in 1606 for the mistress of the Archbishop!! 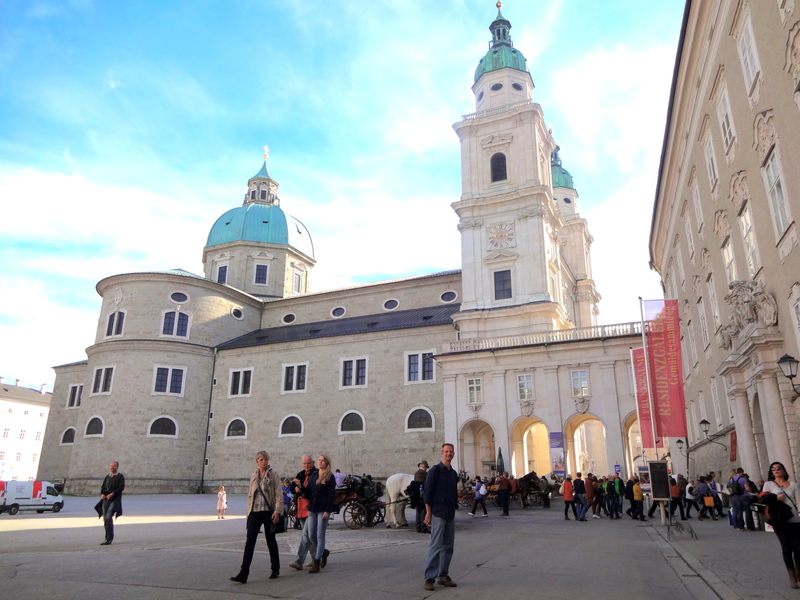 Next, we headed to Residenzplatz, where you can find the Residence Palace and Salzburg Cathedral. Later in the movie, this square and its buildings are covered with Nazi insignia, after Nazi Germany annexed Austria. The story told in the Sound of Music was based on Captain Von Trapp’s strong opposition to the Nazis, and his decision to leave all that he owned and flee with his family to Switzerland. 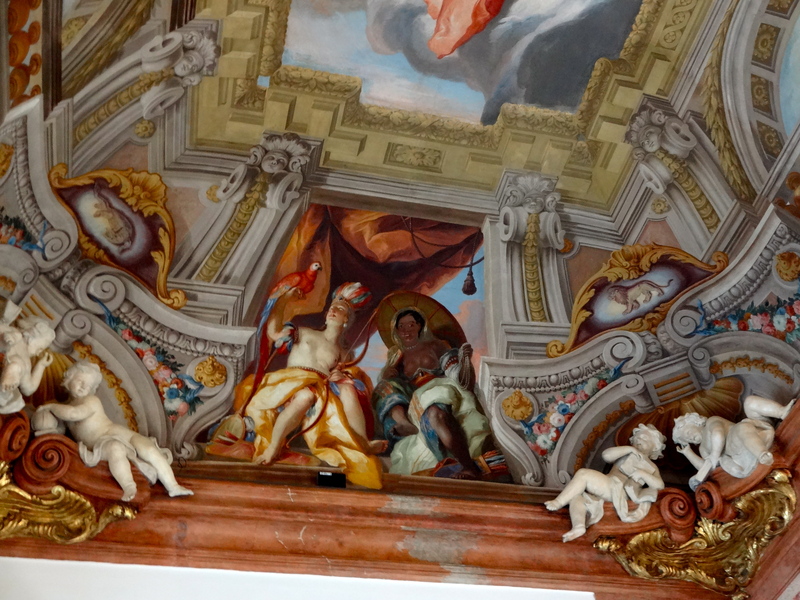 Inside the Residence Palace, one of the most important historical buildings in Sazburg. The Residence Palace started as a small bishop’s palace in 1120, and was enlarged over the centuries. 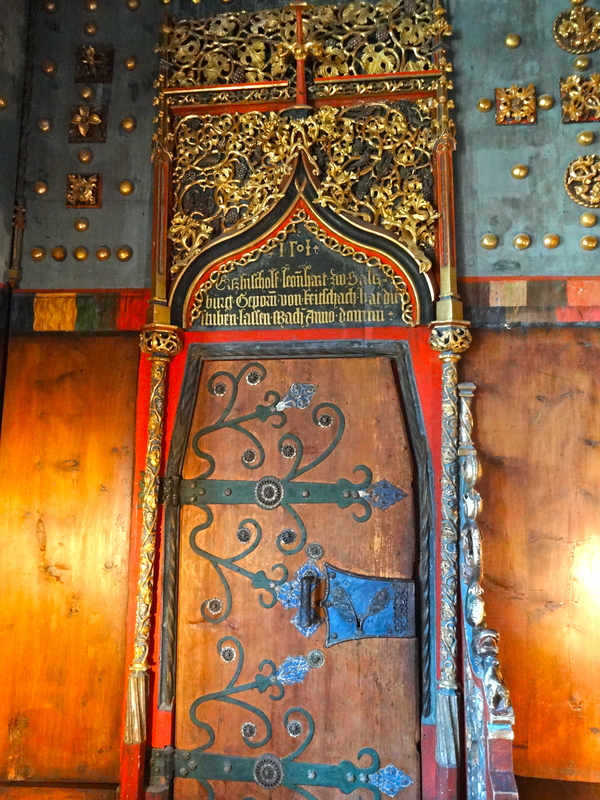 The royal family of Austria and the Hapsburg rulers of Tuscany used it as their residence. There is an art gallery where you can see paintings by Rembrandt, Ruben and Brueghel. Looking out of the window from the Residence Palace. 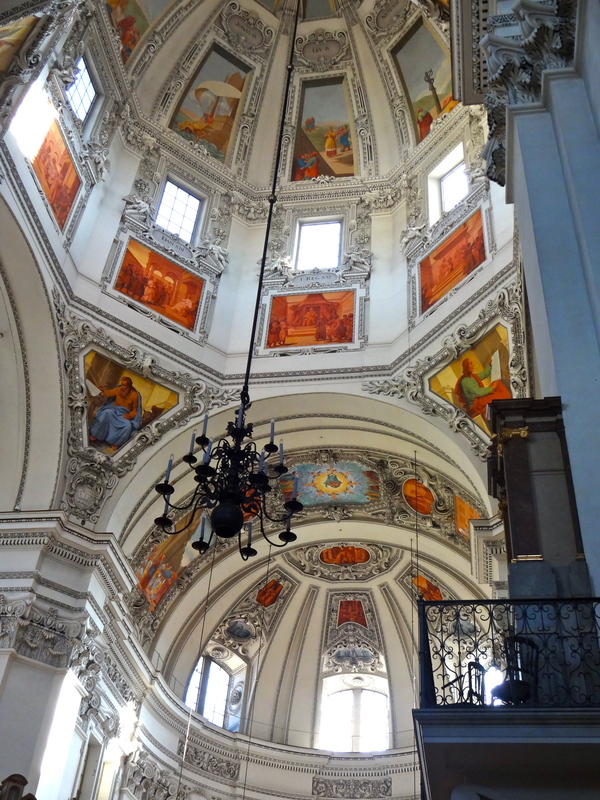 Next, we went next door to Salzburg Cathedral. 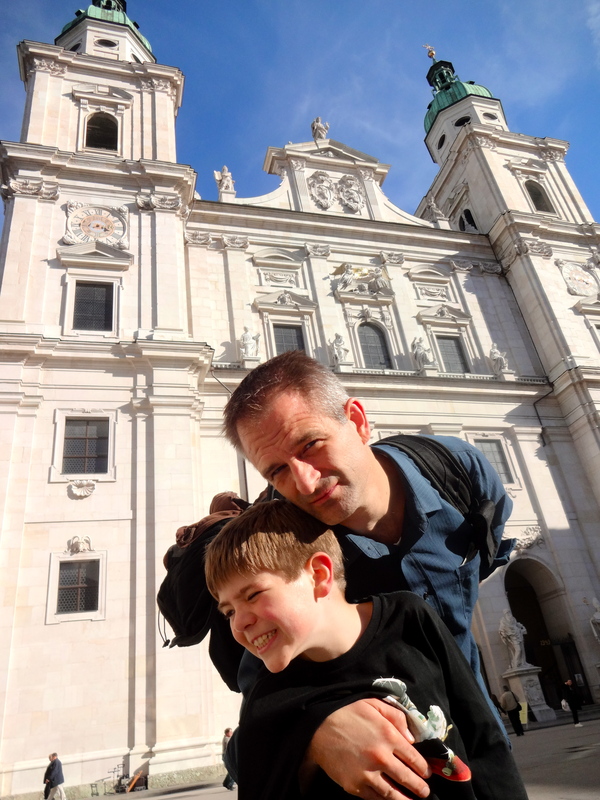 My boys in front of Salzburg Cathedral. This stunning baroque cathedral was built in the 17th century on the site of a Celtic settlement and part of the ruins of a Roman city! Excavations under the cathedral have unearthed mosaics and ancient artifacts. The cathedral was consecrated in 1612. Mozart was baptized in this cathedral, in a 14th century baptismal font which dated back to the earlier cathedral built on this site . 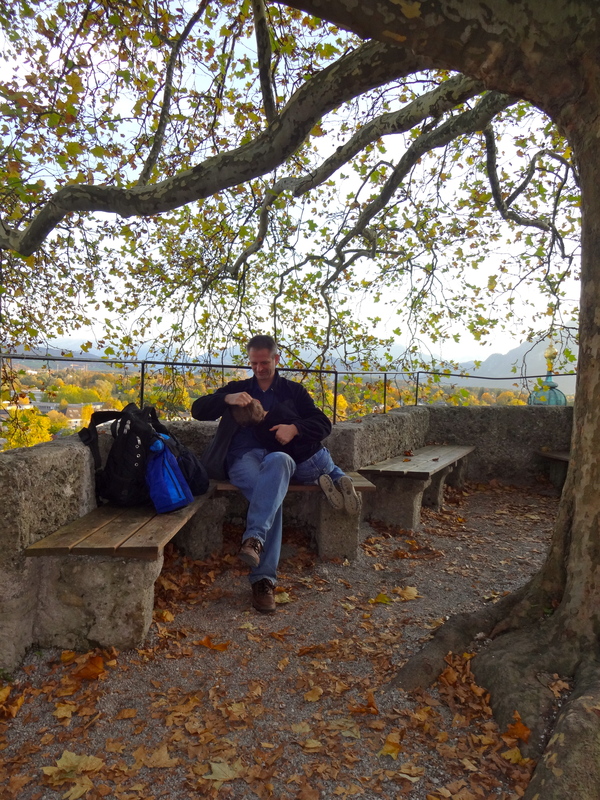 Next, we took the cable car up to the Hohensalzburg Fortress. This fortress is one of the largest medieval castles in Europe! Construction began in 1077!! It was built to protect the city during a conflict between the Holy Roman Emperor and the Pope. It was under siege in 1525 when a group of Protestant peasants unsuccessfully tried to depose Archbishop-Prince Matthaus Lang. The fortress is one of Europe’s best preserved castles. 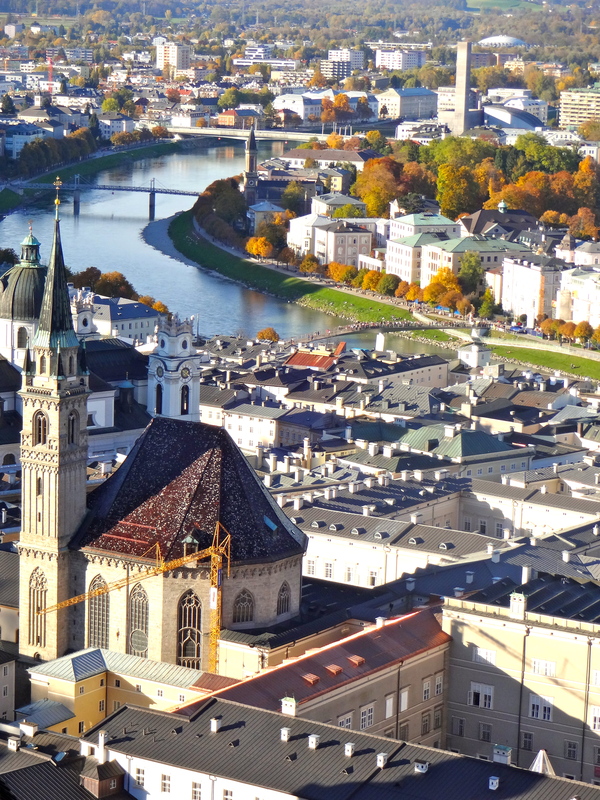 When Napoleon occupied Salzburg, he used the fortress as barracks for his army, a dungeon, and storage depot. It has an interesting museum of World War I artifacts. Below is the view from the castle ramparts! 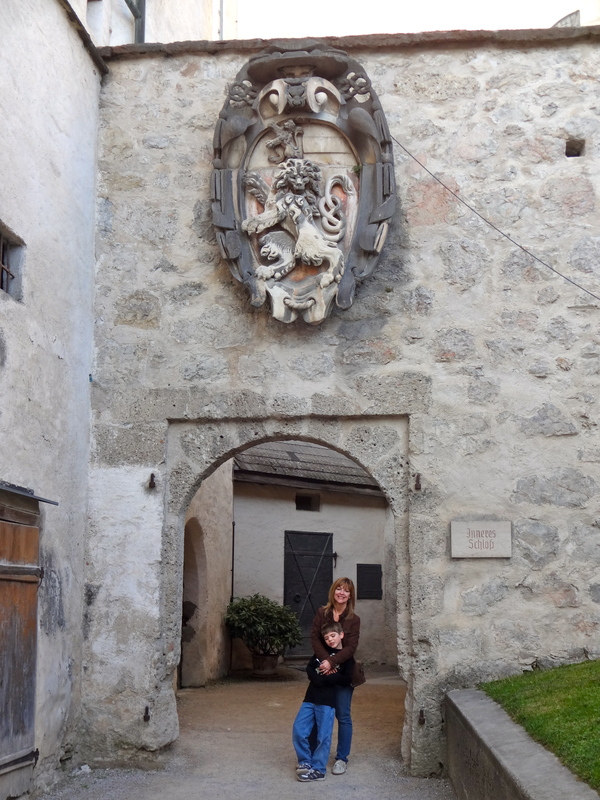 Next, we walked a little further to see Nonnburg Abbey, where the real Maria Von Trapp was a novice. 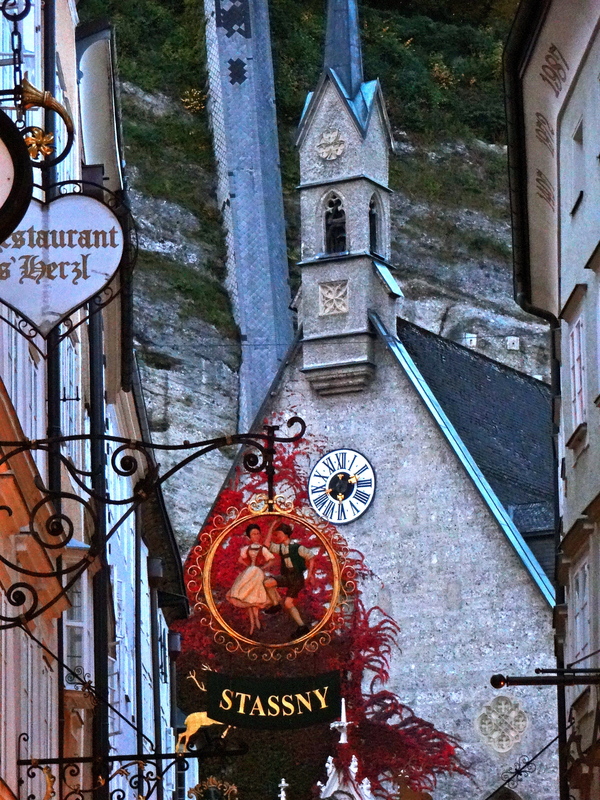 It was also where she married Captain Von Trapp (in real life, not in the movie). Nonnburg Nunnery is the oldest functioning convent in the world! It was founded in 713. The Sound of Music scenes shot here include the opening part where the nuns are going to mass and singing “How do we solve a problem like Maria?” The performance for the song “Maria” was staged in the courtyard of the abbey. 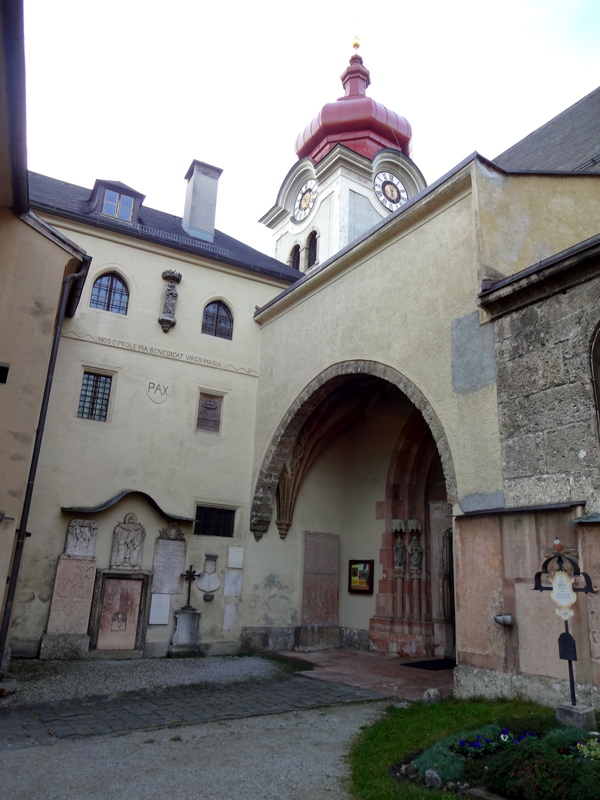 Later, the Von Trapp children came to the abbey’s gate to ask Maria to return to their home, but are turned away. The escape scene, with the cars parked outside the Abbey gate, was also shot in the original spot. The graveyard of the abbey. Andy and Nate are horsing around in the photo below, while I took photos of the stunning views. Two days later we watched the Sound of Music together and geeked out when we saw the scenes filmed where we had just been! This is right in front of the abbey, where escape scene took place! We had the place to ourselves as it was getting towards sunset. This is the view just behind where the boys are sitting in the photo above. 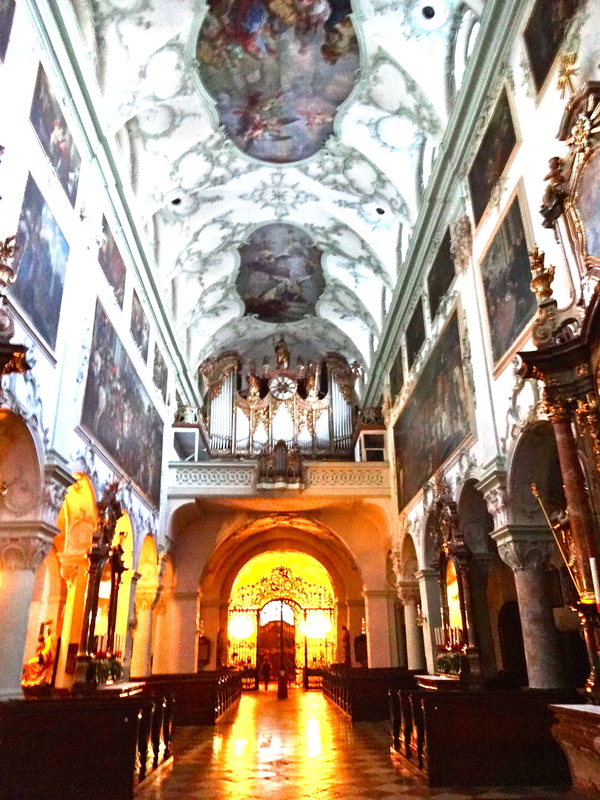 Next, we walk to St. Peter’s Church, the oldest functioning monastery in Austria. It was founded in 760 by a Franconian monk! The present church dates back to 1125. 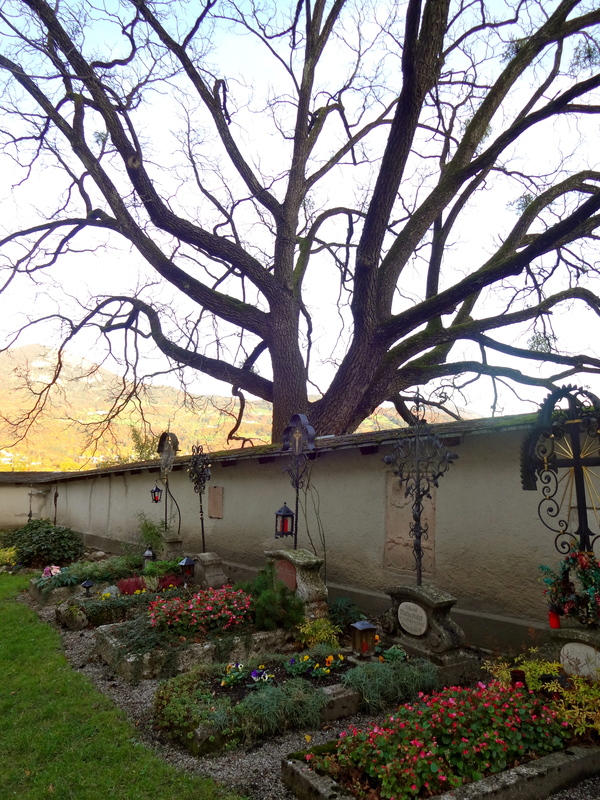 Mozart’s sister was buried in the St. Peter Cemetery! Tall, medieval baroque houses line the street. 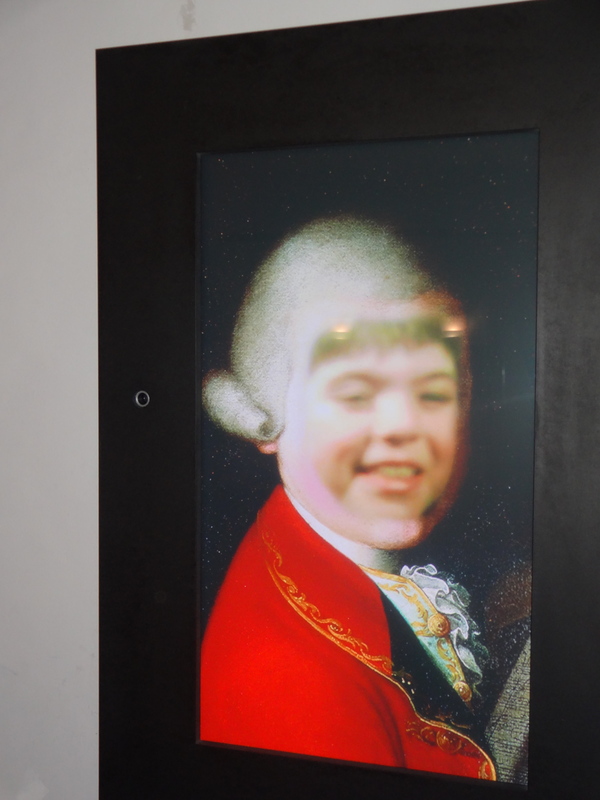 Mozart was born in one of the houses on this street! It’s fun to think that Mozart walked down this street! A day trip certainly was NOT enough for this beautiful city. There are several must-sees that we missed. So, we hope to go back to this lovely city some day! 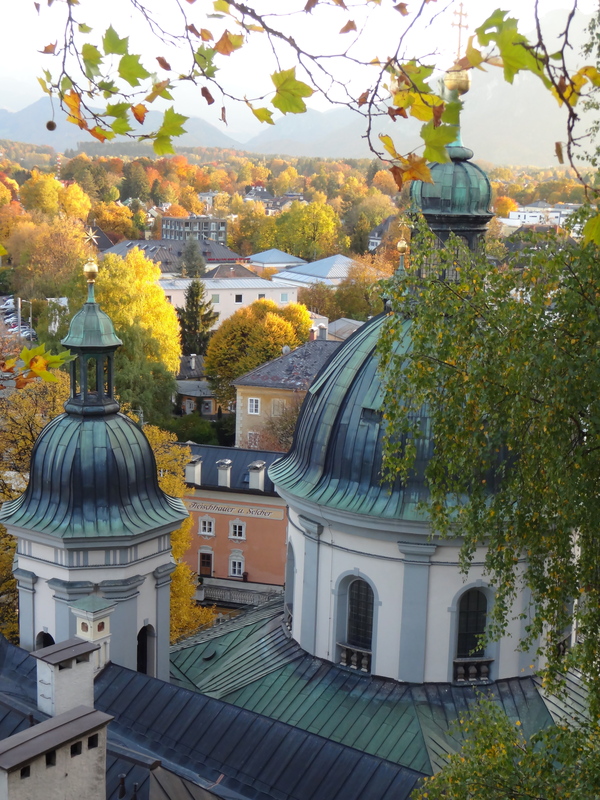 For those of you who have been to Salzburg, what do you recommend?